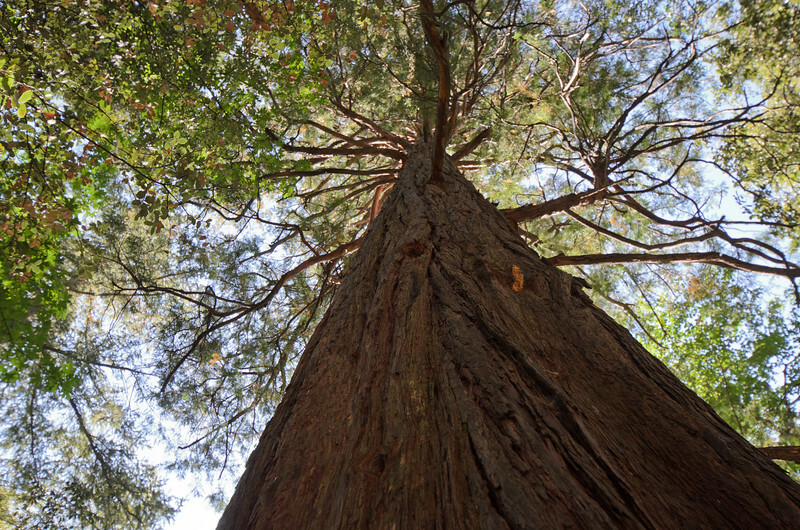 Although it doesn't get much publicity, there's a very nice little grove of giant sequoia trees just above Mt. Baldy Village. I took this one over the summer with my 10-24 wide-angle lens. Click above to see larger. To see the trees: Mt. Baldy is above the very nice town of Claremont in eastern Los Angeles County. Find parking in Mt. Baldy Village near the Angeles National Forest Visitor Center and then walk up Bear Canyon Road--the trees are just a little ways up the trail. The road eventually ends and becomes a trail that ascends six miles and 6,500 feet to the summit of Mt. Baldy. The sequoias are big. I'm guessing they were planted in the late 1800s by someone who was hoping to create a timber industry or just thought the trees were pretty cool. See more of my work on my SmugMug site (prints and downloads are for sale!) and follow me on Twitter.